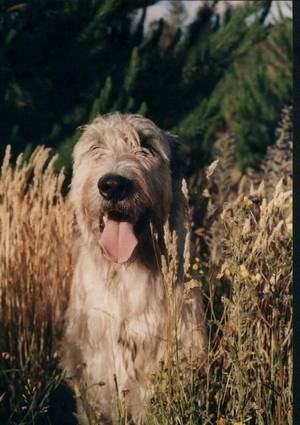 Welcome to Wulfgar Irish Wolfhounds. Of great size and commanding appearance, the Irish Wolfhound's power, combined with keen sight and swiftness, makes him unique among sighthounds. The tallest of all AKC recognized breeds, the ideal Irish Wolfhound should possess the speed to catch a wolf and the strength to kill it. The breed is typically a gentle and trustworthy companion for those can accommodate his needs.